BRANT PITRE, professor of sacred scripture at Notre Dame Seminary in New Orleans, Louisiana, received his Ph.D. in New Testament and ancient Judaism from the University of Notre Dame, Indiana. He is the author of Jesus, the Tribulation, and the End of the Exile (Baker Academic, 2005). 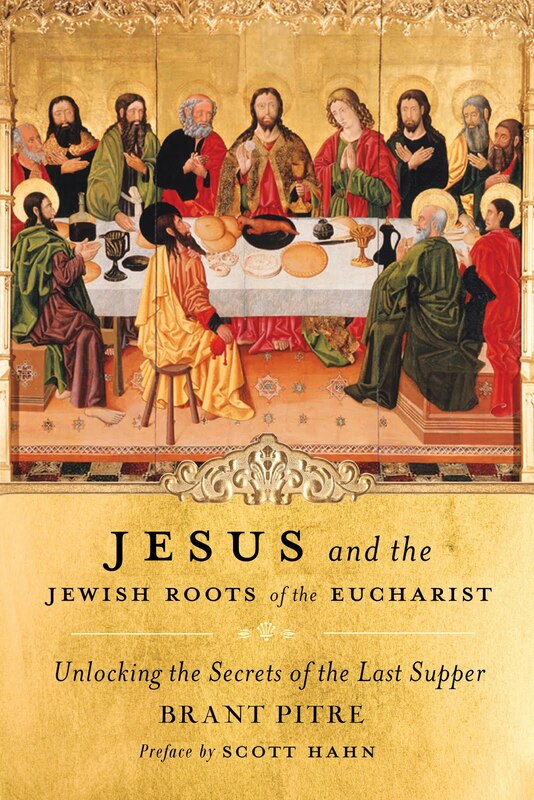 In Jesus and the Jewish Roots of the Eucharist, Bible scholar Brant Pitre explores the ancient Hebrew traditions that influenced and defined the Catholic sacrament of the Eucharist. Here the author will explore "Communion as the New Passover," the "New Manna from Heaven," and the mysterious "Bread of the Presence" illuminating the heart of Catholicism in bold new ways. If you are looking to deepen your faith in, and understanding of, the inexhaustible treasure that is the Eucharist, then this book is for you. Jesus of Nazareth was a Jew. He was born of a Jewish mother, received the Jewish sign of circumcision, and grew up in a Jewish town in Galilee. As a young man, he studied the Jewish Torah, celebrated Jewish feasts and holy days, and went on pilgrimages to the Jewish Temple. And, when he was thirty years old, he began to preach in the Jewish synagogues about the fulfillment of the Jewish Scriptures, proclaiming the kingdom of God to the Jewish people. At the very end of his life, he celebrated the Jewish Passover, was tried by the Jewish council of priests and elders known as the Sanhedrin, and was crucified outside the great Jewish city of Jerusalem. Above his head hung a placard that read in Greek, Latin, and Hebrew: “Jesus of Nazareth, King of the Jews” ( John 19:19). As this list demonstrates, the Jewishness of Jesus is a historical fact. But is it important? If Jesus was a real person who really lived in history, then the answer must be “Yes.” To be sure, over the centuries, Christian theologians have written books about Jesus that don’t spend much time studying his Jewish context. Much of the effort has gone into exploring the question of his divine identity. However, for anyone interested in exploring the humanity of Jesus— especially the original meaning of his words and actions— a focus on his Jewish identity is absolutely necessary. Jesus was a historical figure, living in a particular time and place. Therefore, any attempt to understand his words and deeds must reckon with the fact that Jesus lived in an ancient Jewish context. Although on a few occasions Jesus welcomed non- Jews (Gentiles) who accepted him as Messiah, he himself declared that he had been sent first and foremost “to the lost sheep of the house of Israel” (Matthew 10:5). This means that virtually all of his teachings were directed to a Jewish audience in a Jewish setting. For instance, during his first sermon in his hometown synagogue at Nazareth, Jesus began to reveal his messianic identity in a very Jewish way. He did not shout aloud in the streets or cry out from the rooftops, “I am the Messiah.” Instead, he took up the scroll of the prophet Isaiah and found the place that spoke of the coming of an “anointed” deliverer (see Isaiah 61:1–4). After reading Isaiah’s prophecy, Jesus closed the scroll and said to his audience, “Today, this scripture has been fulfilled in your hearing” (Luke 4:21). With these words, he proclaimed to his fellow Jews that their long- held hope for the coming of the Messiah, the “anointed one” (Hebrew mashiah), had at last been fulfilled— in him. As we will see over the course of this book, this was the first of many instances in which Jesus would utilize the Jewish Scriptures to reveal himself to a Jewish audience as the long- awaited Jewish Messiah. What is the meaning of these strange words? What did Jesus mean when he told his Jewish listeners in the synagogue that they had to eat his flesh and drink his blood in order to have eternal life? And what did he mean when he told his Jewish disciples that the bread of the Last Supper was his “body” and the wine was his “blood”? Why did he command them to eat and drink it? 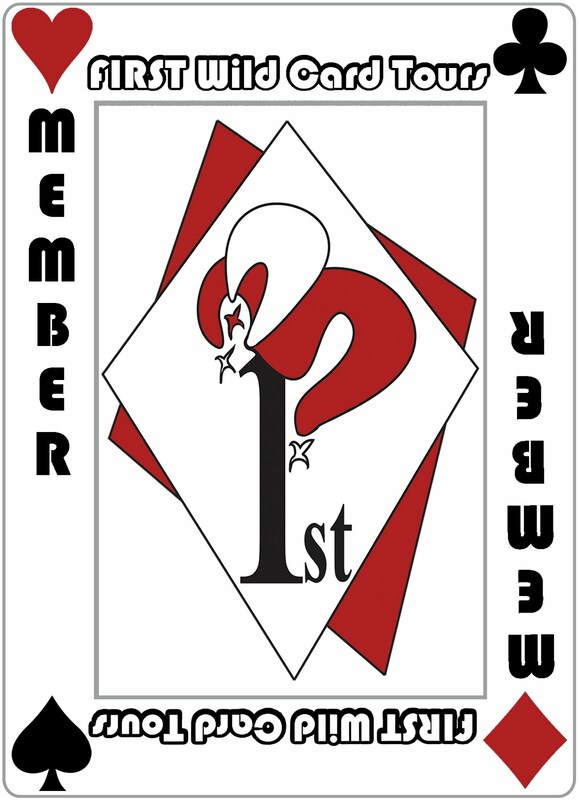 We’ll explore these questions and many others throughout this book. For now, I simply want to point out that the history of Christianity reveals dozens of different responses. Over the centuries, most Christians have taken Jesus at his word, believing that the bread and wine of the Eucharist really do become the body and blood of Christ. Others, however, especially since the time of the Protestant Reformation in the 1500s, think that Jesus was speaking only symbolically. Still others, such as certain modern historians, deny that Jesus could have said such things, even though they are recorded in all four Gospels and in the writings of Saint Paul (see Matthew 26:26–29; Mark 14:22–25; Luke 22:14–30; John 6:53–58; 1 Corinthians 11:23–26). The reasons for disagreement are several. First of all is the shocking nature of Jesus’ words. How could anyone, even the Messiah, command his followers to eat his flesh and drink his blood? As the Gospel of John records, when Jesus’ disciples first heard his teaching, they said, “This is a hard saying, who can listen to it?” (John 6:60). Jesus’ words were so offensive to their ears that they could barely listen to him. And indeed, many of them left him, and “no longer walked with him” (John 6:66). And he let them go. From the very beginning, people found Jesus’ command to eat his body and drink his blood extremely offensive. Another reason for disagreement is somewhat more subtle. Even if Jesus was speaking literally about eating his flesh and drinking his blood, what could such a command even mean? Was he talking about cannibalism— eating the flesh of a human corpse? While there is no explicit commandment against cannibalism in the Jewish Bible, it was certainly considered taboo. Again, the Gospels bear witness to this reaction. “The Jews then disputed among themselves, saying, ‘How can this man give us his flesh to eat?’” (John 6:52). This is a good question, and it deserves a good answer. Every moving thing that lives shall be food for you. . . .
with nausea at hearing such words. So, what should we make of these words of Jesus? is it not a communion in the blood of Christ? is it not a communion in the body of Christ? My goal is to explain how a first- century Jew like Jesus, Paul, or any of the apostles, could go from believing that drinking any blood— much less human blood— was an abomination before God, to believing that drinking the blood of Jesus was actually necessary for Christians: “Unless you eat the flesh of the Son of Man and drink his blood, you have no life in you” ( John 6:53). In order to achieve this goal, we will have to go back in time to the first- century a.d., in order to understand what Jesus was doing and saying in his original context. To a certain extent, this will mean taking off our modern “eyeglasses” and trying to see things as the first Jewish Christians saw them. When we look at the mystery of the Last Supper through ancient Jewish eyes, in the light of Jewish worship, beliefs, and hopes for the future, we will discover something remarkable. We will discover that there is much more in common between ancient Judaism and early Christianity than we might at first have expected. In fact, we will find that it was precisely the Jewish faith of the first Christians that enabled them to believe that the bread and wine of the Eucharist were really the body and blood of Jesus Christ. Unfortunately, as soon as we try to do this, we are faced with a problem. In order for us to hear Jesus in the way his first disciples would have heard him, we need to be familiar with two key sources of information: (1) the Jewish Scriptures, commonly known as the Old Testament, and (2) ancient Jewish tradition, enshrined in writings not contained in the Jewish Bible. Now, if my experience with students is any indicator, many modern readers— especially Christians— find the Jewish Scriptures to be challenging and unfamiliar territory. This is especially true of those passages in the Old Testament that describe ancient Jewish rituals, sacrifice, and worship— passages that will be very important for us as we explore Jesus’ last meal with his friends before his crucifixion. As for ancient Jewish writings outside the Bible— such as the Mishnah and the Talmud— although many people have heard of them, they are often not widely read by non- Jewish readers aside from specialists in biblical studies. For this reason, before beginning, it will be helpful to briefly identify the Jewish writings that I will be drawing on over the course of this book. (The reader may want to mark this page for future reference as we move along.) I want to stress here that I am not suggesting that Jesus himself would have read any of these, some of which were written down long after his death. What I am arguing is that many of them bear witness to ancient Jewish traditions that may have circulated at the time of Jesus and which demonstrate remarkable power to explain passages in the New Testament that reflect Jewish practices and beliefs. The Dead Sea Scrolls: an ancient collection of Jewish manuscripts copied sometime between the second century b.c. and 70 a.d. This collection contains numerous writings from the Second Temple period, during which Jesus lived. The Works of Josephus: a Jewish historian and Pharisee who lived in the first century a.d. Josephus’ works are extremely important witnesses to Jewish history and culture at the time of Jesus and the early Church. The Mishnah: an extensive collection of the oral traditions of Jewish rabbis who lived from about 50 b.c. to 200 a.d. Most of these traditions are focused on legal and liturgical matters. For rabbinic Judaism, the Mishnah remains the most authoritative witness to Jewish tradition outside of the Bible itself. The Targums: ancient Jewish translations and paraphrases of the Bible from Hebrew into Aramaic. These emerged sometime after the Babylonian exile (587 b.c. ), when many Jews began speaking Aramaic rather than Hebrew. Scholars disagree about their exact dates. The Babylonian Talmud: a vast compilation— more than thirty volumes— of the traditions of Jewish Rabbis who lived from around 220 to 500 a.d. The Talmud consists of both legal opinions and biblical interpretations, in the form of a massive commentary on the Mishnah. The Midrashim: ancient Jewish commentaries on various books of the Bible. Although parts of these are later than the Talmud, they contain many interpretations of Scripture attributed to Rabbis who lived during the times of the Mishnah and the Talmud. These are by no means all of the ancient Jewish writings that are relevant for understanding the New Testament, but they are the ones I will be looking at most frequently in this book. In particular, I want to highlight the importance of the rabbinic literature: the Mishnah, the Talmud, and the Midrashim. Although many of these writings were edited after the time of Jesus himself, both rabbinic experts and New Testament scholars agree that, if used with caution, they are still very important for us to study. For one thing, the rabbis often claim to be preserving traditions that go back to a time when the Temple still existed (before 70 a.d.). In many cases, there are good reasons to take seriously these claims. Moreover, unlike the Dead Sea Scrolls or the writings of Josephus, the rabbinic literature continues to play an important role in the life of Jewish communities to this day. For this reason, I will pay particular attention to the Mishnah and the Talmud, which are still considered by many Jews to be the most authoritative witnesses to ancient Jewish tradition. With all of this background in mind, we can now focus our attention on those ancient Jewish beliefs about the coming of the Messiah that may shed light on the Eucharistic words of Jesus. Unfortunately, many modern readers are only vaguely familiar with Jewish beliefs regarding the coming of the Messiah. In fact, a good deal of what most Christian readers have learned about Jewish messianic ideas is often oversimplified, riddled with exaggerations, or even downright false. Therefore, in order for us to situate Jesus’ teachings in their historical context, we need to back up a bit and answer a few broader questions: What were first- century Jews actually waiting for God to do? We know that many were expecting him to send the Messiah, but what did they think the Messiah would be like? What did they believe would happen when he finally came?